We all use electricity – whether you’re watching TV, blasting the air con or just boiling the kettle, you’re adding to your power bill. 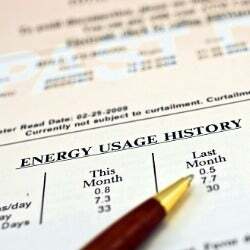 The cost of using electricity is generally referred to as a ‘usage charge’. These charges are measured in kilowatt-hours (kWh), with most electricity retailers charging between 25 and 40 cents per kWh, depending on your state and electricity tariff. Usage charges can make up a significant proportion of your electricity bill, depending on how you use power, so it’s important to read your energy price fact sheet and make sure you’re receiving the best price per kWh. But what exactly is a good price? In this article, Canstar Blue breaks down the average electricity costs per kWh by state. Electricity usage rates can vary from state to state, and even within different parts of the same state. There are a number of reasons for this, but for the purposes of this article it’s enough to know that the average price of electricity per kWh in Victoria won’t be the same as in New South Wales. Below we’ve listed the typical electricity usage rates across QLD, VIC, SA and NSW. This was done by calculating the average usage rates of flagship market offer contracts from six leading electricity retailers – AGL, Origin Energy, EnergyAustralia, Red Energy, Click Energy and Alinta Energy. Prices are shown in cents per kWh. It’s important to realise that the price you pay per kWh is only a fraction of your electricity bill. 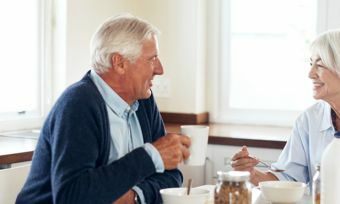 Another, often larger contributor to your power bill, is what’s known as a fixed or supply charge – a daily fee that applies regardless of how much electricity you’ve used, if any. It’s also important to consider discounts. While some discounts are seemingly there to mask terrible rates, there are plenty of energy deals with big discounts that really do offer genuine value. As you can see, there’s a lot to consider and calculating the cheapest electricity deal for you isn’t that simple. Fortunately, Canstar Blue has done the calculations for you. You can use the tool below to find the cheapest electricity deal in your area. What do kWh costs look like in real terms? Comparing kWh costs between providers and plans is clearly a smart move, but with the extra complication of conditional discounts, working out which plan is cheapest for you is still a real challenge, especially when the way discounts are applied is not universal across the board. For instance, some providers only apply their discounts to usage rates, while other include both usage and supply charges. To help you turn typical kWh usage costs into actual cost estimates for what you can expect to pay, consider the following tables where we show some of the cheapest deals on our database for a selected postcode in each state. Use our comparison tool above for specific quotes in your area. Here are some of the cheapest published deals from the retailers on our database that include a link to the retailer’s website for further details. These costs are based on a typical three-person household living on the Ausgrid network in Sydney, but prices will vary depending on your circumstances. We show one product per retailer, listed in order of price. Use our comparison tool for a specific comparison in your area. Read on for further details on NSW retailers. These are featured products from referral partners. Our database may not cover all deals available in your area, and please check retailer websites for up to date information. Where do I find electricity kWh usage rates? Energy retailers are required to publish the exact details of their electricity products in their price fact sheets. In these documents, you will find all the details you need to make an informed decision about that retailer. While energy price fact sheets can differ between providers, the details about electricity usage costs per kWh usually appear at the top of the page. The below example from an Origin Energy price fact sheet shows how usage rates per kWh are displayed. You will notice that there are two columns showing electricity usage costs per kWh – one excluding GST and the other including GST. Be sure to focus on the electricity usage rates that include GST as this will be what you actually pay. Don’t be too distracted by the time of use tariffs quoted above – these would only apply to you if you have a flexible pricing tariff. Who sets electricity usage rates? Electricity usage charges are deregulated in most states, which means energy companies like AGL and Origin set the per kWh price for electricity. Retailers don’t set prices arbitrarily however. Rather, prices largely reflect the ‘wholesale price’ of electricity. The wholesale price is what electricity providers pay generators for electricity, which retailers then on-sell to everyday customers. Wholesale prices change every 30 minutes, and because there are limitations on how and when electricity companies can change their prices, retailers try to predict how the wholesale price will behave when setting the price per kWh to charge customers. Canstar Blue has a more detailed overview of how electricity prices are set here. How often do electricity usage rates change? Electricity rates generally change every 12 months for most customers, though it depends on whether you’re on a “standing offer” or a “market offer”. Customers on a standard contract are guaranteed by law that their electricity charges won’t increase more than once every 12 months. On the other hand, customers on a market offer may technically have their rates adjusted at any time, provided they are given written notice in advance. Regardless, most retailers only change their market offer rates once per year. In Victoria, the price per kWh is updated around January, while the rest of the country can expect rate changes around July. The electricity contracts we’ve just described are referred to as “variable rate plans”. That is to say, the electricity company can vary your rates. The much less common alternative is called a “fixed rate plan”. Customers on a fixed rate plan receive a guarantee that their electricity prices won’t increase for a fixed period of time – usually two years. Only a handful of retailers offer fixed rate deals, and while they may be more expensive upfront, they can potentially save you in the long term if power prices continue to climb. The fact you’ve found our website means you’re already half way to finding a great deal on electricity. When comparing electricity products, it’s important not to become tunnel-visioned by big discounts or low usage rates. When looking for a new deal, you should balance a range of considerations including rates, discounts, perks and any additional contract terms. It’s also valuable to have an energy company that looks after its customers. That’s why Canstar Blue asks Australians every year how satisfied they are with their electricity company. See which retailer tops the list in your state by following the link below.